I’M FEARD IT BE MYSELF. 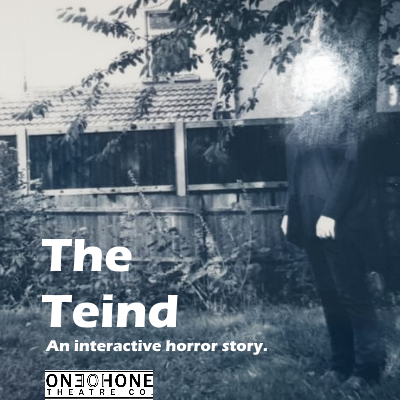 The Teind is an interactive theatrical journey that offers an intensely immersive experience. A personalised horror story, just for you. ONEOHONE has created The Teind for the London Horror Festival. Book your tickets here. This new production by ONEOHONE Theatre is a unique choose-your-own-adventure designed to be experienced individually. Your story will unfold over three weeks as different characters contact you, drawing you into a dangerous world of dark fairytale. How and whether you interact with them is entirely up to you. The story can develop without your input, but every exchange will deepen your understanding of the strangeness around you. Each day will bring new information, new interactions, leading up to a face-to-face meeting. When purchasing a ticket, you will agree which channels the show can use to contact you (email, text, social media etc.). Once confirmed, you will have to select a timeslot via email between 12-10pm on either October 26th, 27th or 28th for one final meeting at the Old Red Lion Pub. The choices you make will determine how your story ends and who will be there to meet you. Defeating the antagonist is within your power, but you’ll need to be cunning, wary and watch closely. Ask questions. Seek clues. Not everything is as it first appears.